The new UHD Advising and Mentoring Center is pleased to invite all undeclared students to the "Major Fair," from 11 a.m. to 2 p.m. Tuesday, Oct. 15. 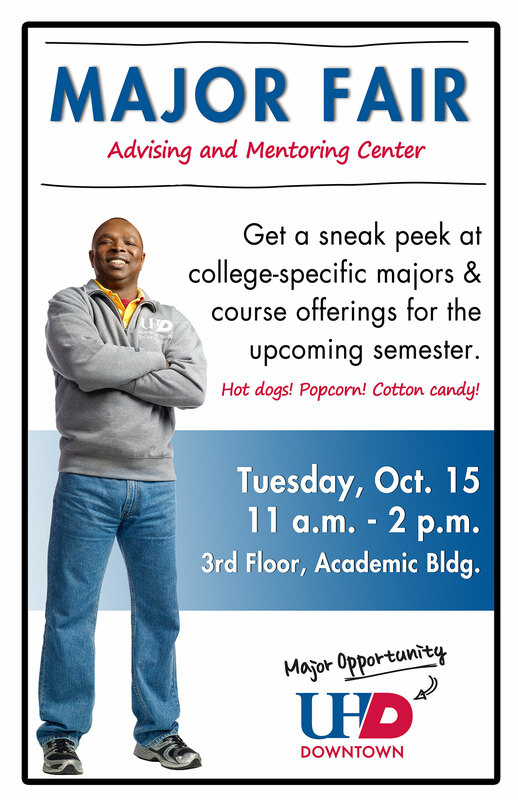 This event will provide students with college-specific and general advising. In addition to speaking with advisors, students also will be able to catch a sneak peek at majors they're interested in and course offerings for the upcoming semester.